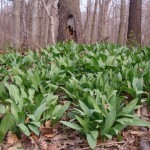 This low-growing and long lived native garlic and onion cousin in a treasured spring food. They are nutritious, fragrant and much sought after by traditional cooks and chefs alike. 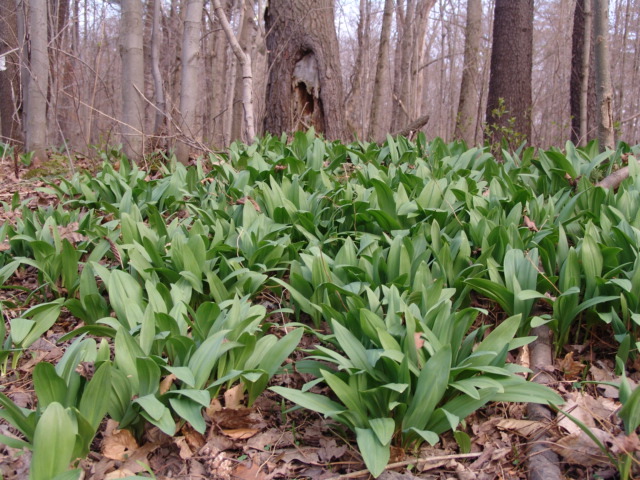 When in full growth they are harvested (roughly mid-to late spring) and the whole plant is eaten — green foliage and tender white bulbs alike. 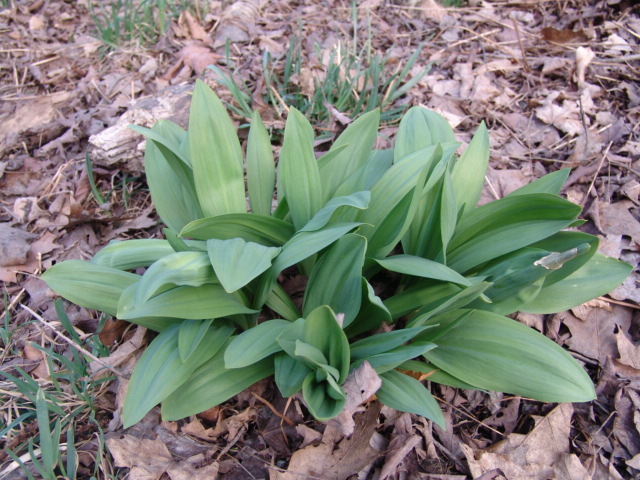 Medium green glossy strap-like foliage emerges in early to mid-spring. 8″-10″ or so in height is about all you can expect, with a similar spread. They often form clumps, and readily self-sow where happy. 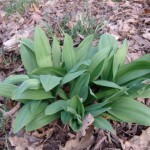 They occur in in floodplains, hillsides and shady places with good and deep soils. They are ephemeral and will disappear in June or so, and in late summer spikes will appear with the familiar rounded Allium (Onion group) look — white flower clusters about 1″ to 1 1/2″ in diameter.